The golden light of dawn is a spectacular backdrop for whalewatching and a favorite of photographers. Typically this is also the calmest time of day on the ocean. 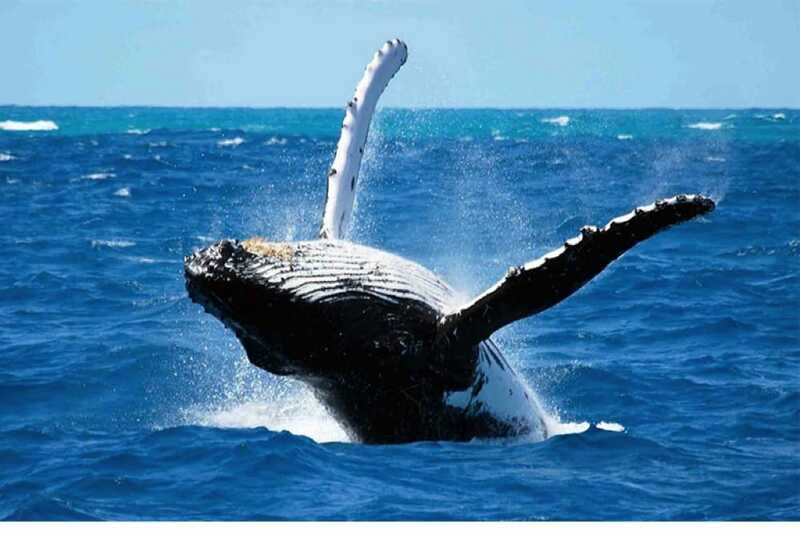 Sunrise Whalewatch is led by certified Marine Naturalists for fun and informative interpretation of humpback whale behaviors and characteristics. 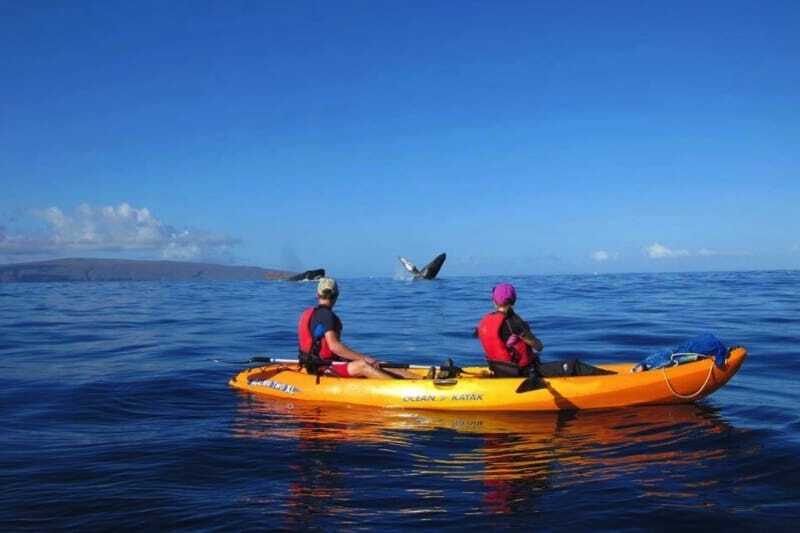 Departs from conveniently located Maalaea Harbor or historic Lahaina Harbor. Children between the ages of 5 and 12 are also free but only one per one paying adult. Children under the age of 4 are always free! Check out our Budget Whale Watch for other tour times throughout the day. We promote responsible drinking; alcoholic beverages are limited to three drinks per adult 21+ on our cruises where alcohol is available. You must show valid picture ID if you wish to consume any alcohol. All activities are at your own risk. Check-in is at least 45 minutes prior to scheduled departure time. All no-shows are non-refundable. We reserve the right to reschedule or cancel due to weather, sea state or other exigent circumstances at the discretion of the Captain. Destinations, menus, vessels and equipment subject to change without notice. This was absolutely the best whale watch trip ever and we have been on at least 50. First it is not crowded, second getting up at 5 and setting sail prior to sunrise is part of the romance. You can not predict when or if whales will be active particularly late March but we had a mom and calf and a frisky male that came so close that even the Naturalist screamed! The staff were great! Second sunrise trip for us and next week will be the 3rd!This is the best! Wonderful trip! The sunrise was not nearly as spectacular as the whales. We saw many, many different whales including a mother and baby with 3 escorts! Great viewing, great weather, the staff was very knowledgeable with informative narration! We were delighted with our adventure! The sunrise was awesome over the mountains and the whales were particularly abundant. The naturalist/biologist who narrated the trip was quite informative, answering questions and providing insight into the whales behavior and patterns of migration. His delivery was not dry and his love for the whales were evident in his presentation. 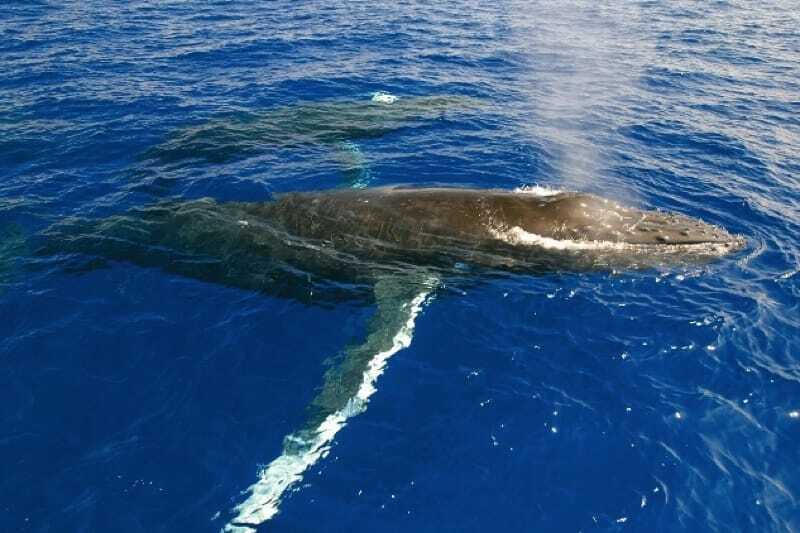 We especially like that this particular whale watching trip not only funds research but helps to provide information as well. It is a score! Depart from Maalaea Harbor or Lahaina Harbor.